What a nice surprise! 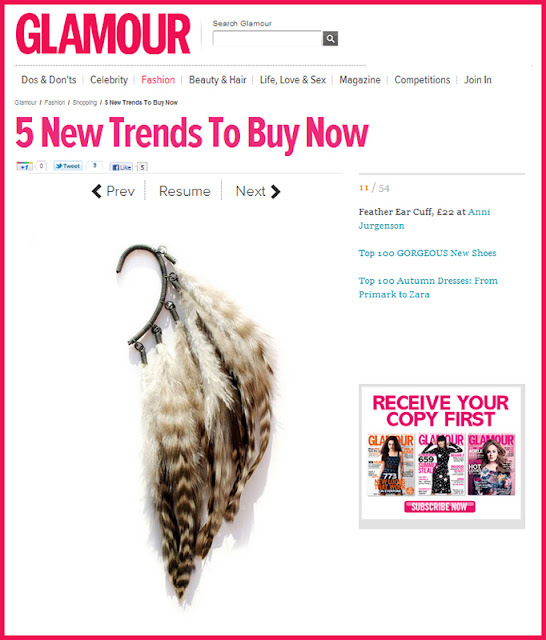 The ear cuff 'Plymouth rock chicken' was included in Glamour magazine's fall must buy list today. The piece itself is available over here and on Boticca. Followed you all the way from tfs! I actually remember visiting awhile ago and bookmarking your store so I could splurge on a feather piece when I had money to spare.